Radiant sparkles and a sunny yellow strap gives you some sunshine every day. 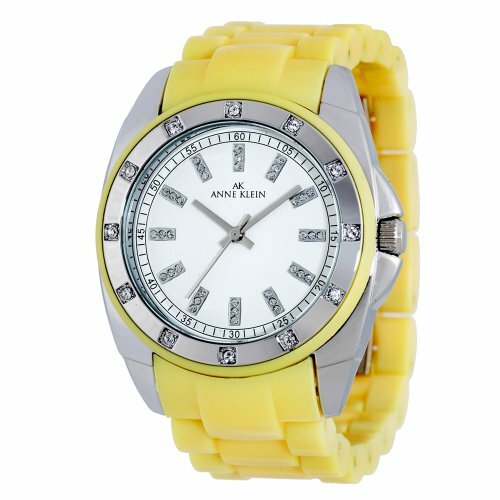 This AK Anne Klein watch features a yellow plastic bracelet and silvertone mixed metal round case. Round white dial with logo and crystal accent indices. Quartz movement. Limited lifetime warranty.